Why is it so hard to make progress on race issues in this country, or even to have a productive conversation about them? And why are white people, especially white Christians, so complacent about the claims and concerns of African Americans? Indeed, not only do they not care, they perpetuate and compound racism within their churches. 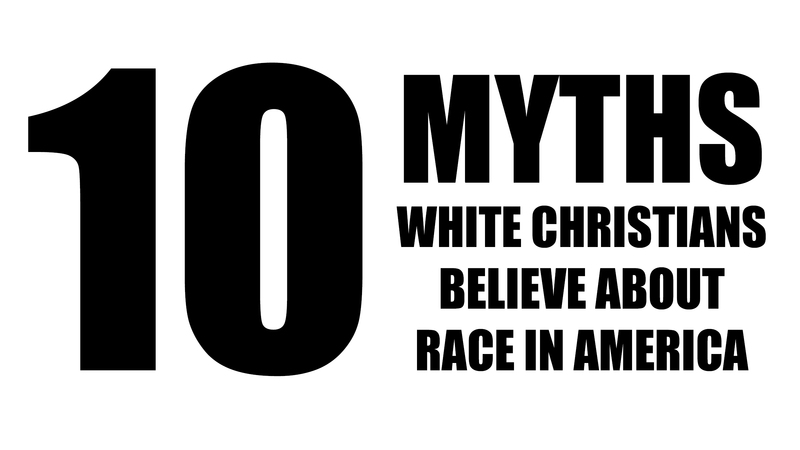 It’s a complex issue, but as a white American Christian who has spent a lot of time in Church, I know that this is one of the problems: my co-religionists have convinced themselves that a set of false propositions about race in America is actually true. 1. Racism currently isn’t a very serious or widespread problem in America; it was largely dealt with in the 1960s and now is only brought up by those who want to profit from a perceived victim status. 2. Racism, if it happens at all, is an individual thing practiced by only a few extremists who live somewhere other than on my block. It is not systematic or institutional, and does not affect the African American community at large. 3. In the past, racism was only practiced by godless Democrats, never by serious Christians. 4. Any attempt to call out racism is part of a leftist political agenda. 5. If we just stopped talking so much about racism, everything would be better. 6. Yes, communities are largely segregated, but people of different ethnic groups live segregated lives because they want to. It is not forced on them by corrupt and racist government or businesses, and therefore this kind of segregation is totally fine. 7. Freedom is what America is all about. 8. Everyone has an equal shot at the American Dream if they just apply themselves and work hard. 9. Support for Donald Trump and rejection of Colin Kaepernick’s protest have nothing to do with racism. The fact that Trump’s racist rhetoric and policies did not disqualify him for office says nothing about the values of the people who voted for him and continue to support him. 10. Racism is very low on God’s priority list. He is much more concerned about “spiritual” things, like “evangelism.” Except for abortion. And homosexuality. And churches keeping their tax exempt status. OK, God is concerned about some non-spiritual things, but not racism. Every one of these propositions is demonstrably false, as innumerable works of scholarship, a quick skim over the Bible, or a conversation with almost any African American person in the country can attest. The fact that hardly any white Christians in this country seem to know that is an interesting development, as it so directly contradicts the explicit teachings of the person they claim to follow. How did it come to this point? That is the story I plan to tell in my new movie project about the history of race relations in America. Stay tuned for more details!